The Malabar exercise is the bilateral exercise usually conducted between the U.S. and Indian navies. 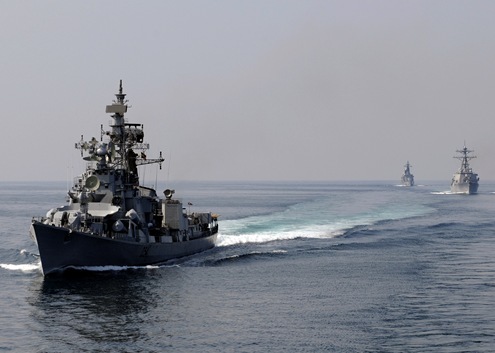 This year the Indian Navy has invited the Japan Maritime Self-Defense Force (JMSDF) also to participate. To be conducted from April 26 to May 03. Ships, aircrafts and submarines from the three navies are to take part. To be conducted off the coast of Okinawa, Japan. 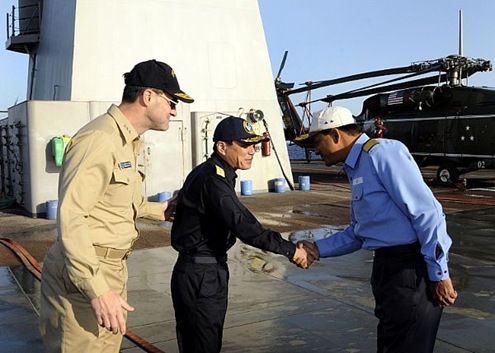 The participants will also conduct personnel exchanges and professional discussions at sea and ashore. 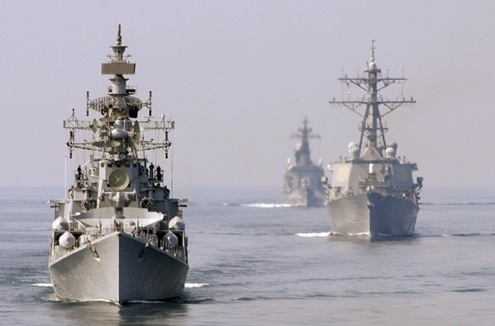 Details of JMSDF ships participating in the exercise are not known. For more information, log on to U.S.Navy. Ships and Sailors from the U.S, India and Japan assembled at Sasebo, Japan on April 26, for briefing and to commence the Malabar 2009 exercise. Read more from Commander, U.S 7th Fleet. View more photographs from U.S.Navy: Image 1, Image 2. View more images of Malabar 09 from U.S.Navy. Image1, Image2, Image3, Image 4.